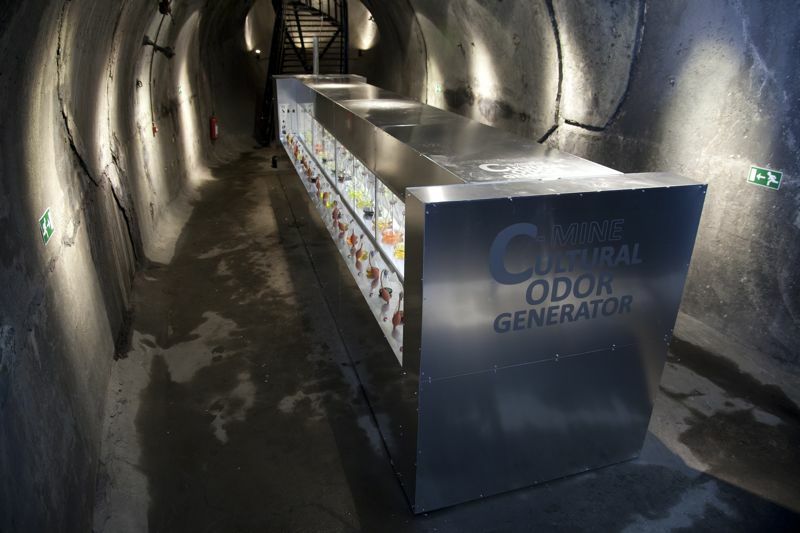 A selection of 40 fragrances based on cultural specific odors of the hundred nationalities living in the city Genk (Belgium). 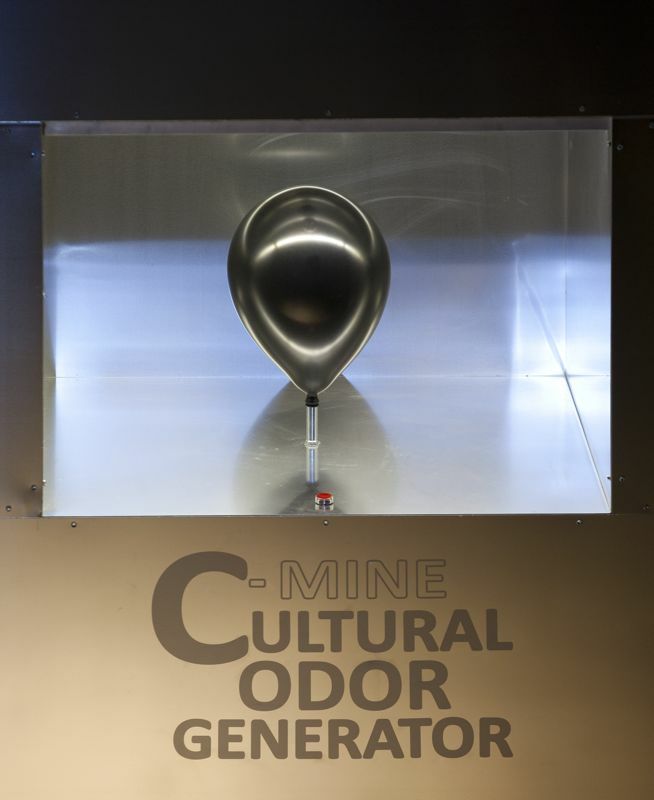 Thanks to the history of the coal mine (C-Mine) more than 100 nationalities are living in Genk. 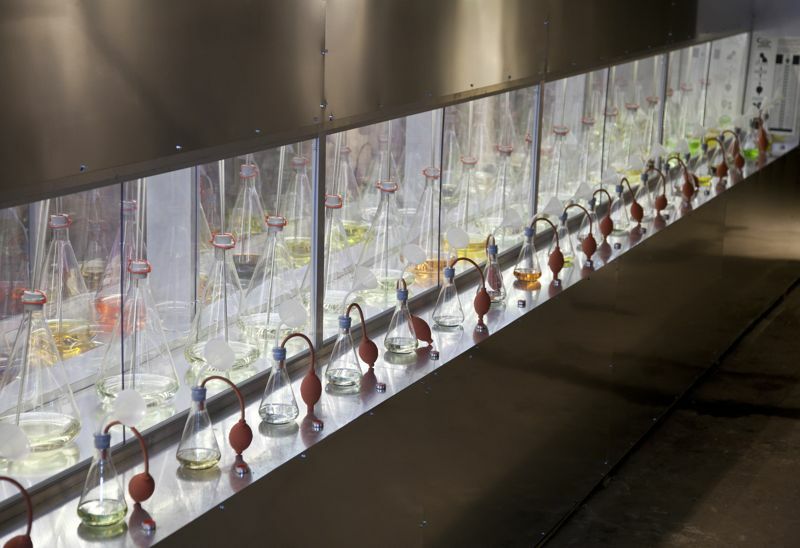 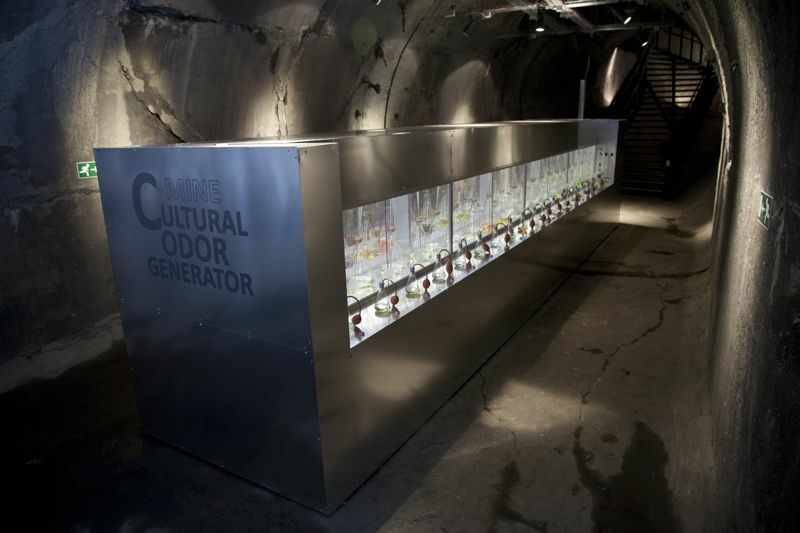 As a visitor you can explore the selected smells and make a selection. 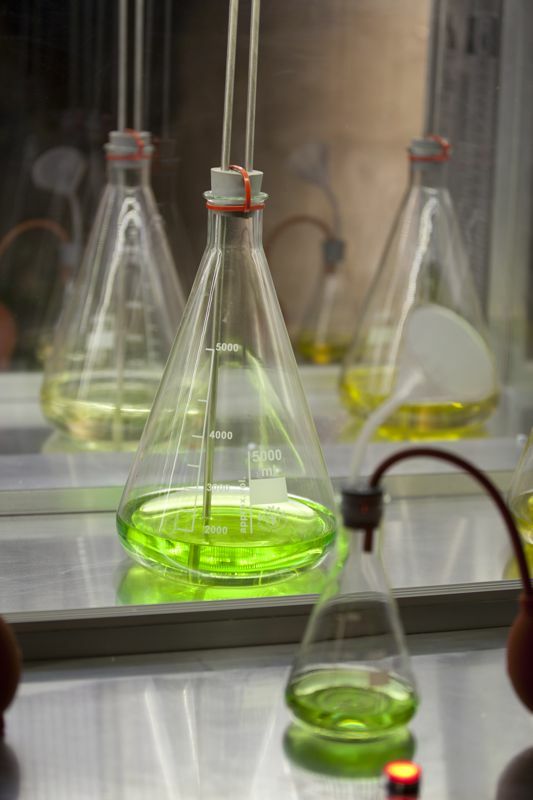 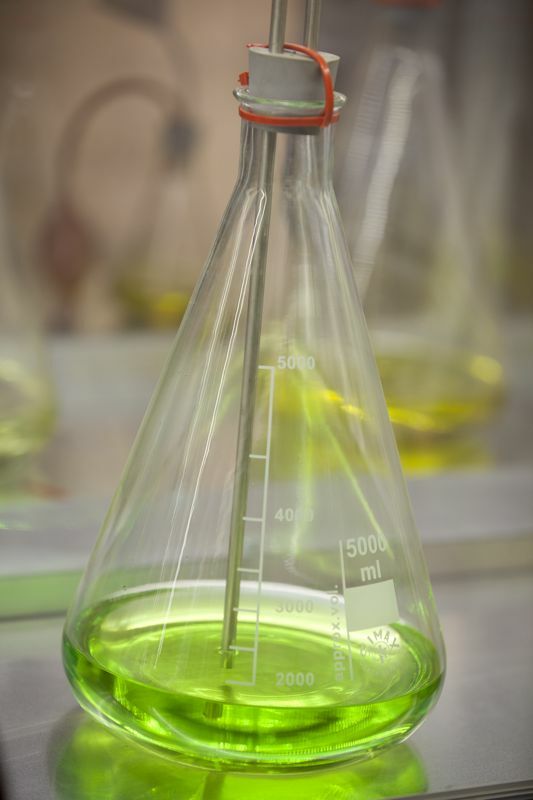 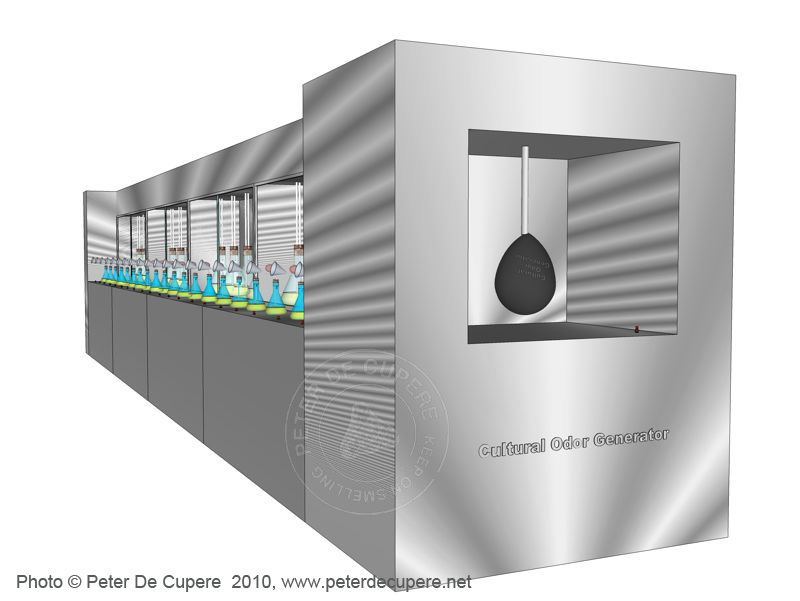 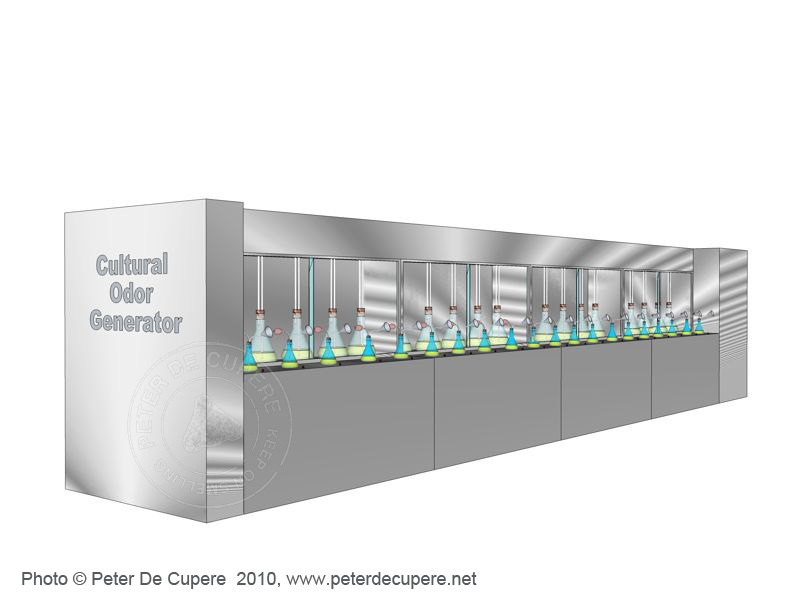 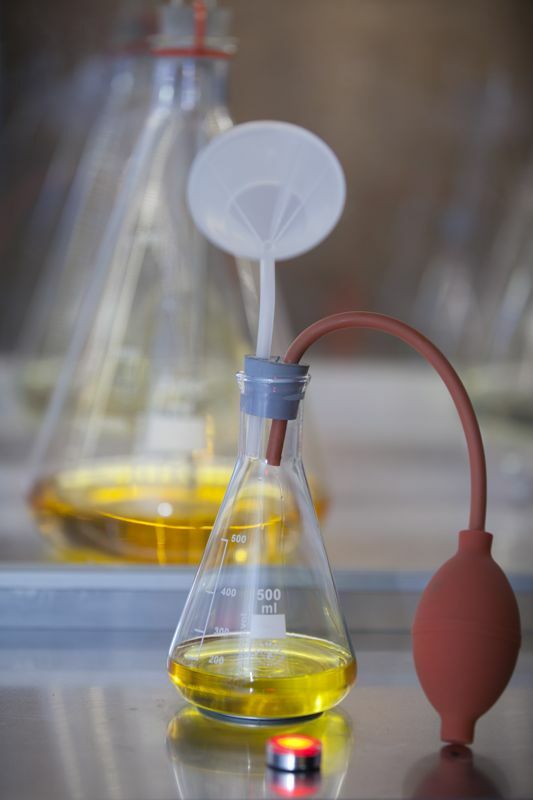 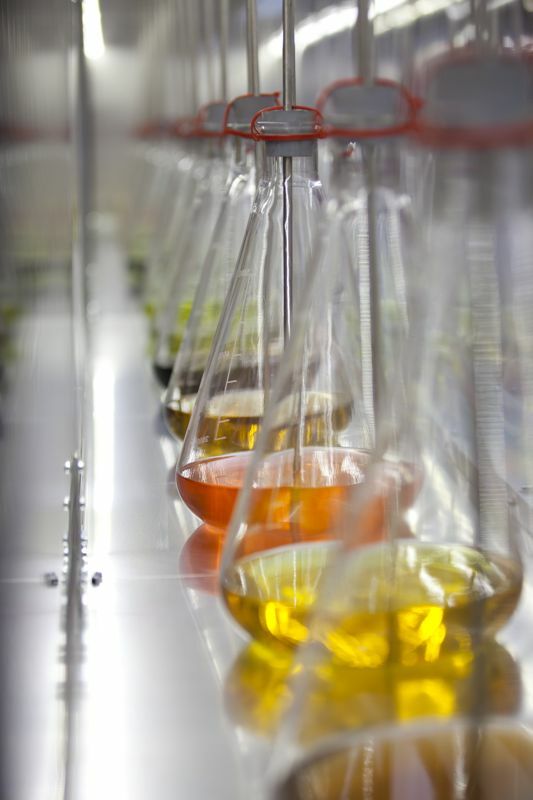 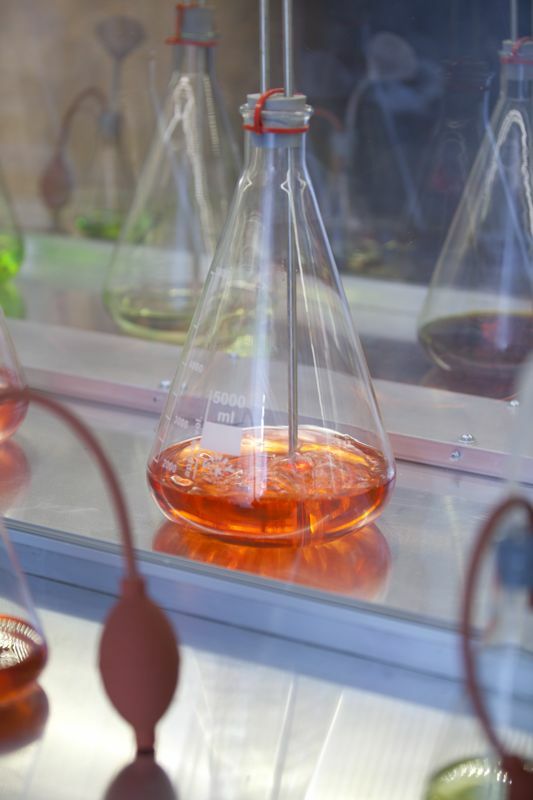 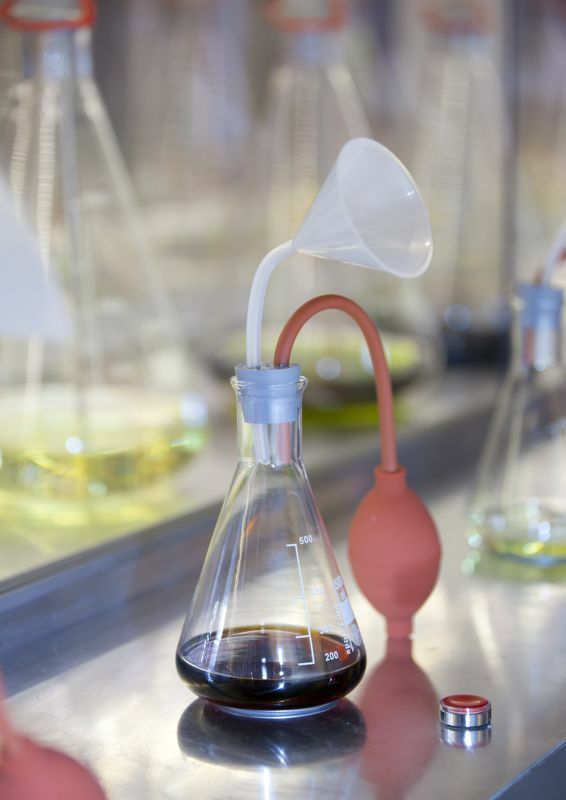 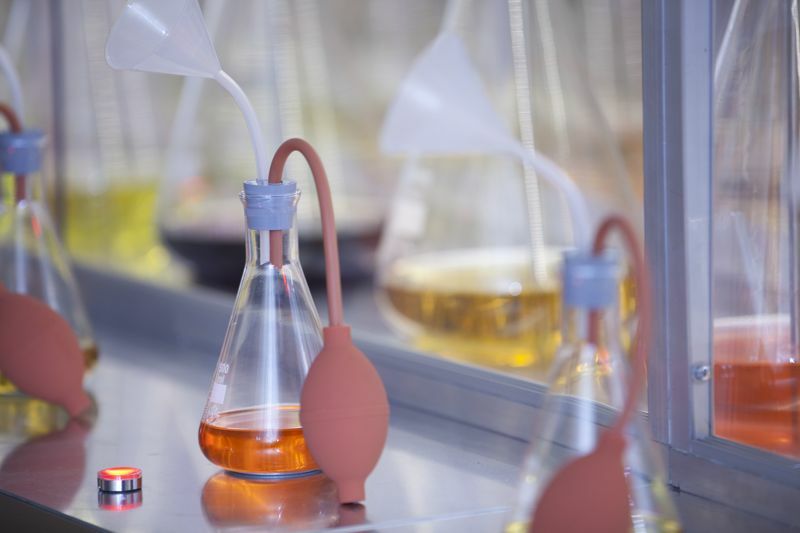 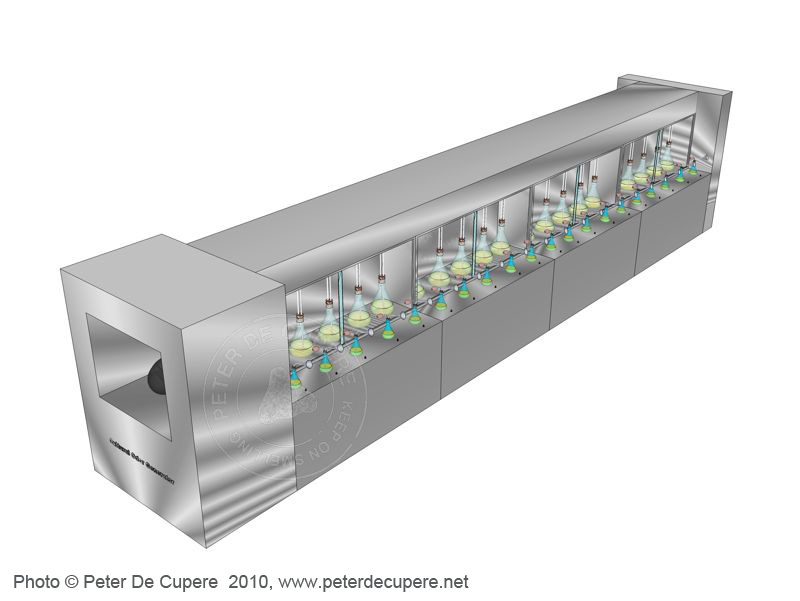 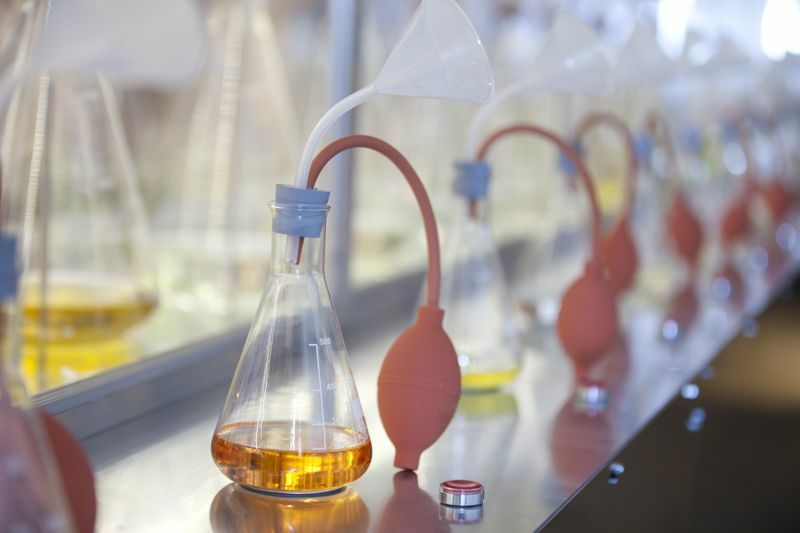 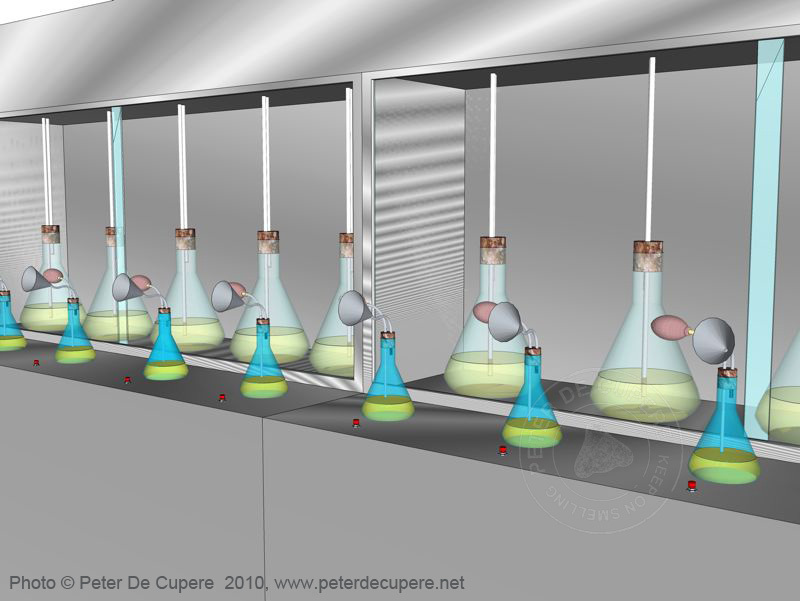 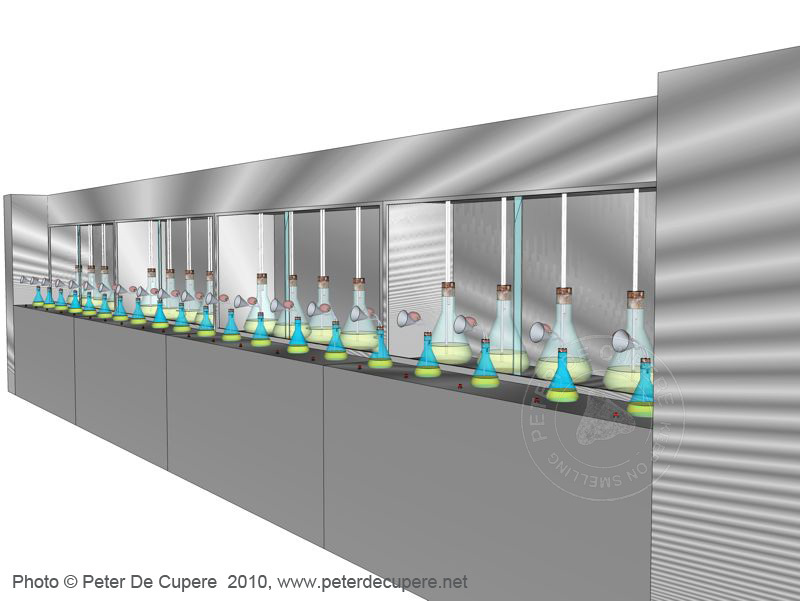 Through a computerized system, the smells are mixed well with the odors of its predecessors. 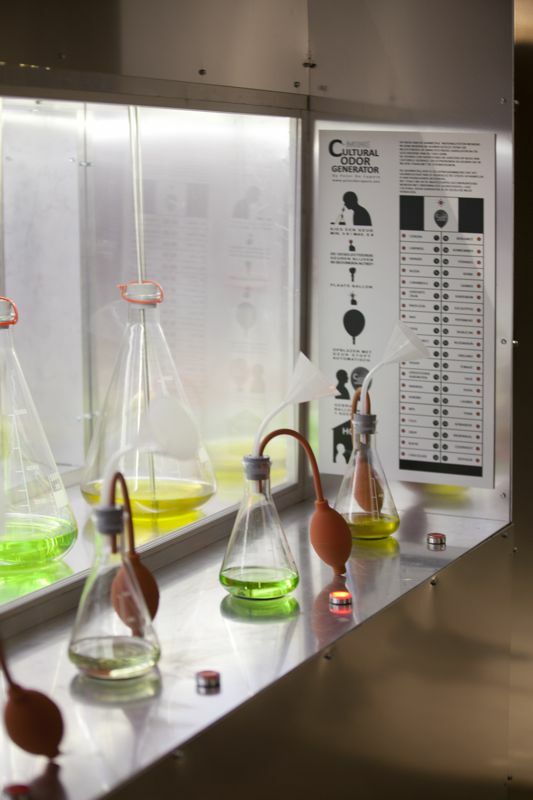 You can fill a balloon with this mix of scents and take this smell mix home. 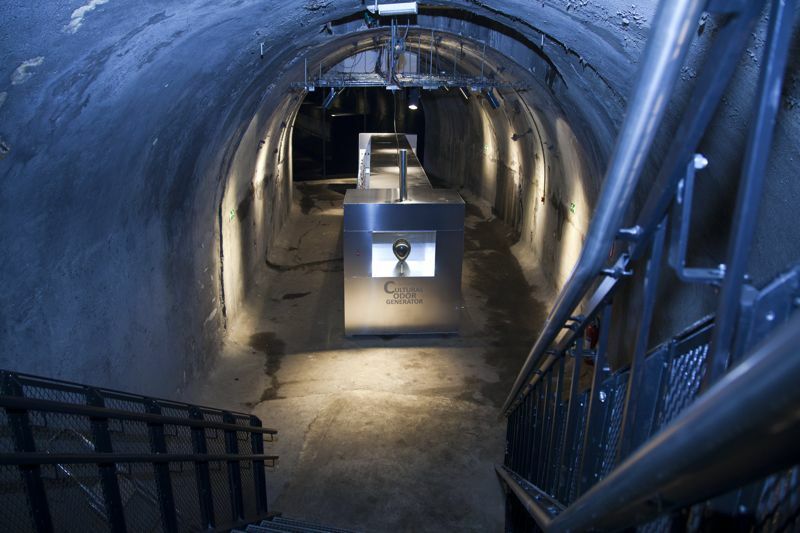 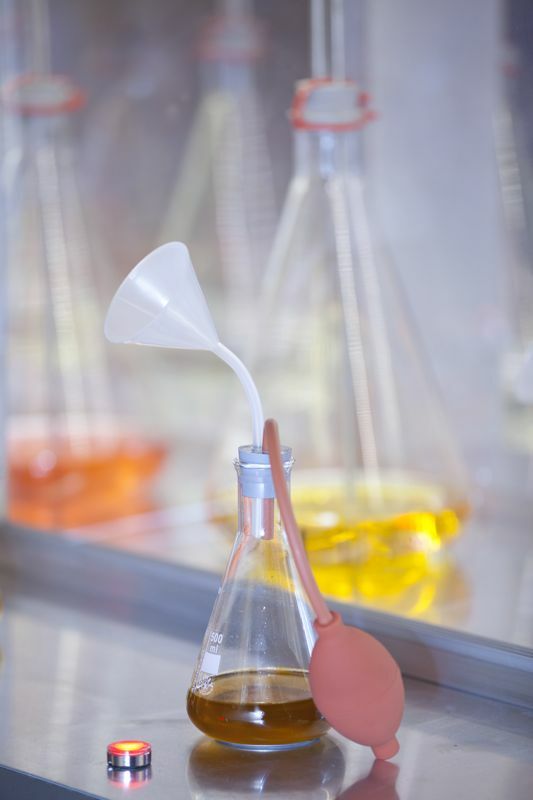 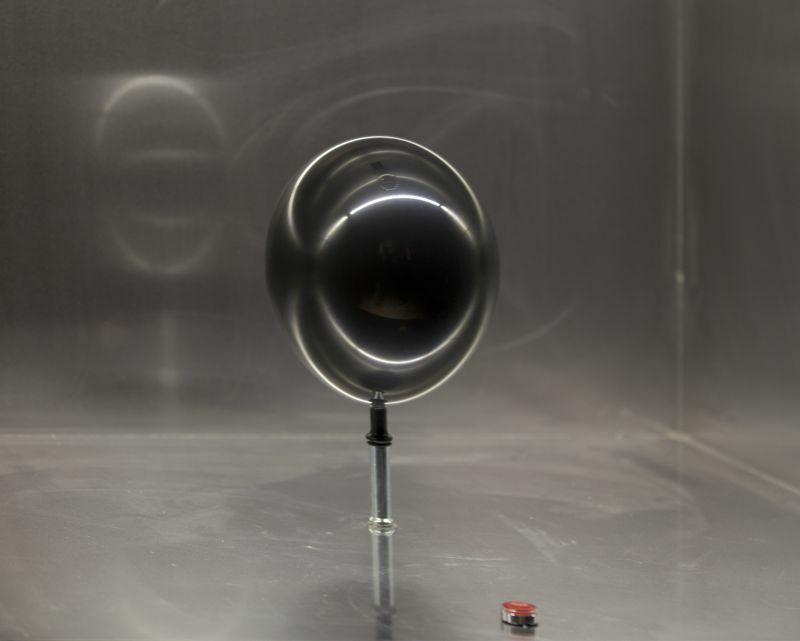 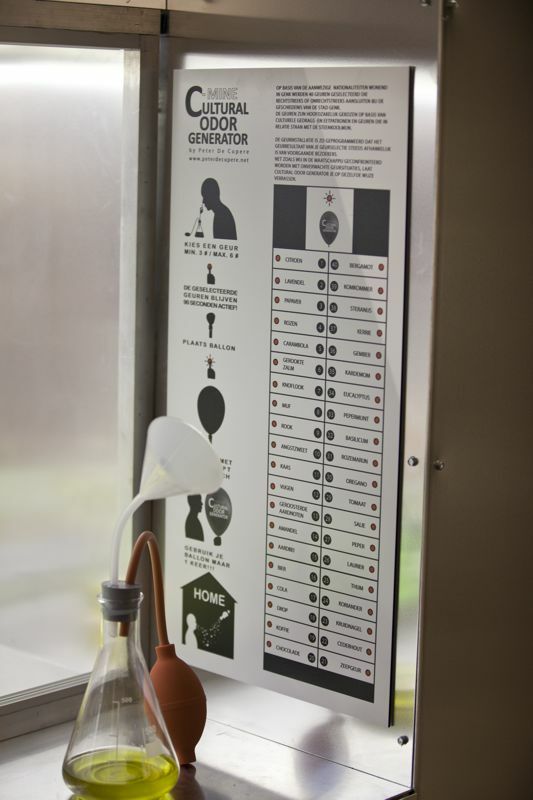 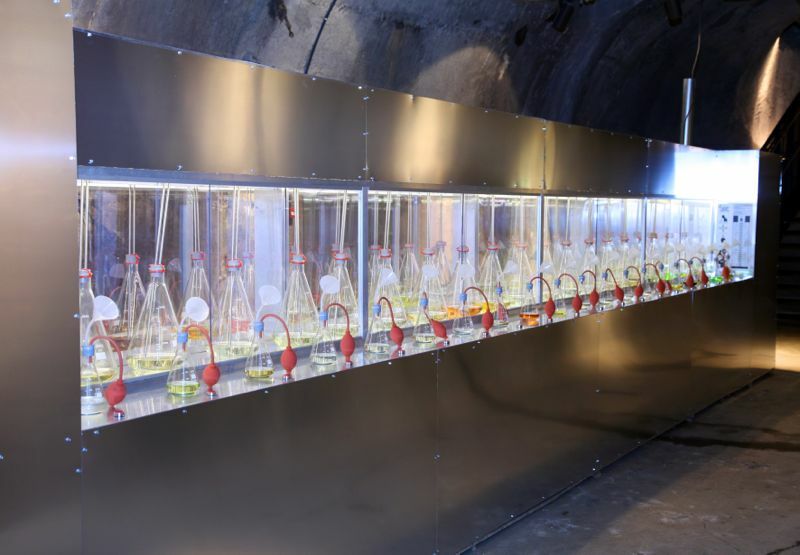 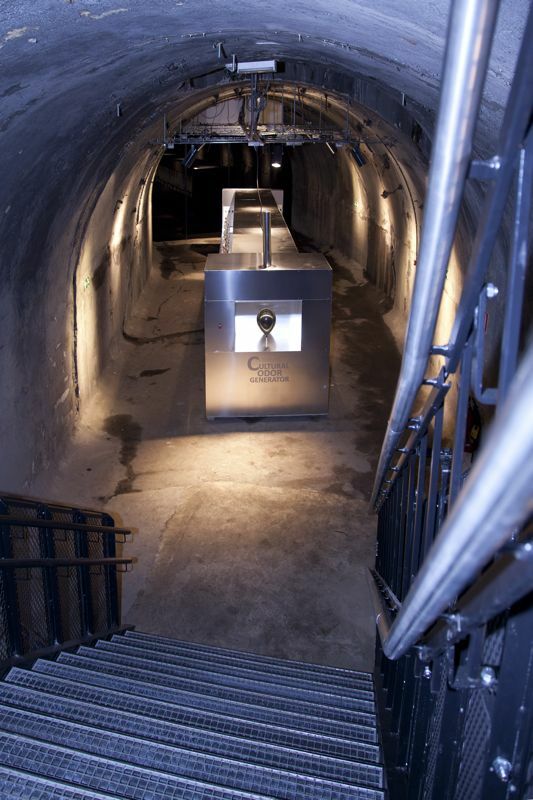 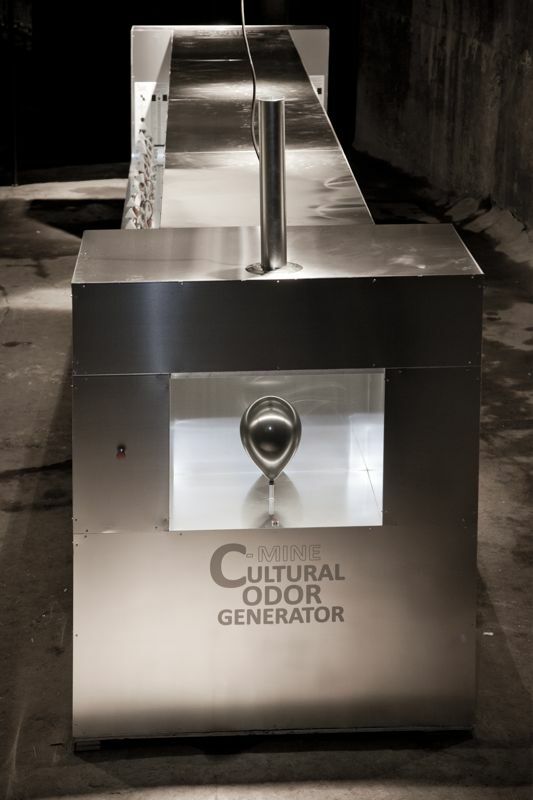 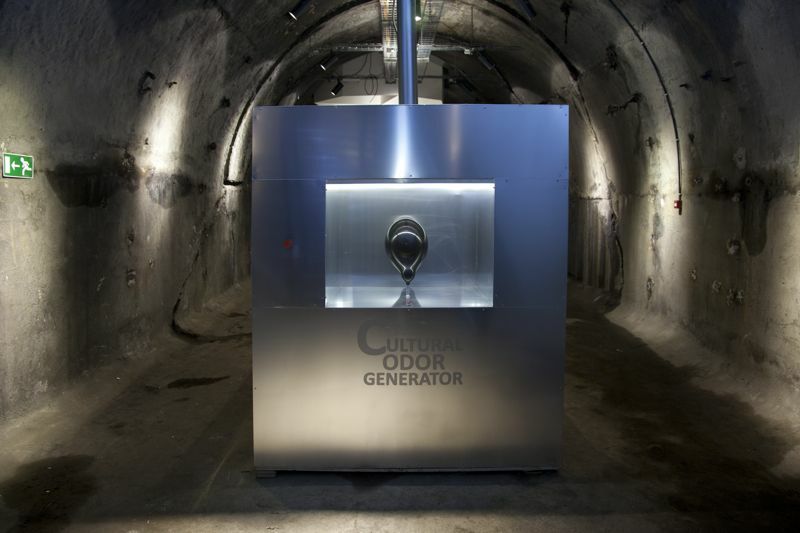 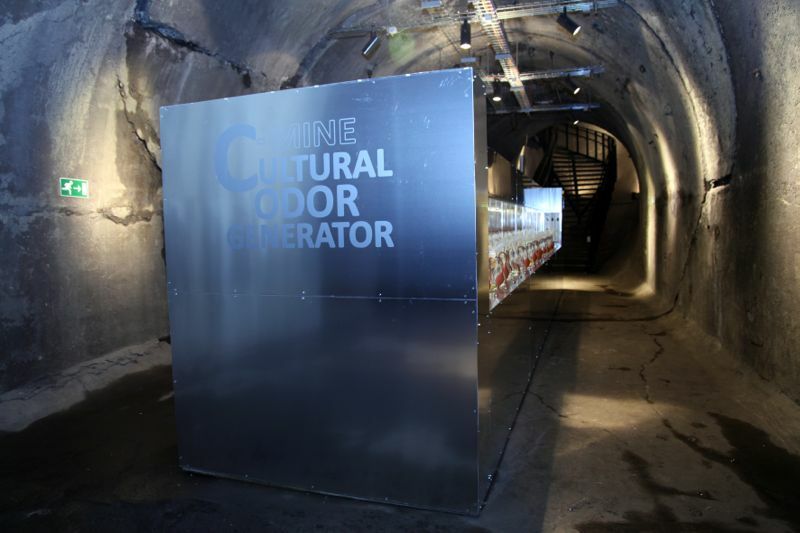 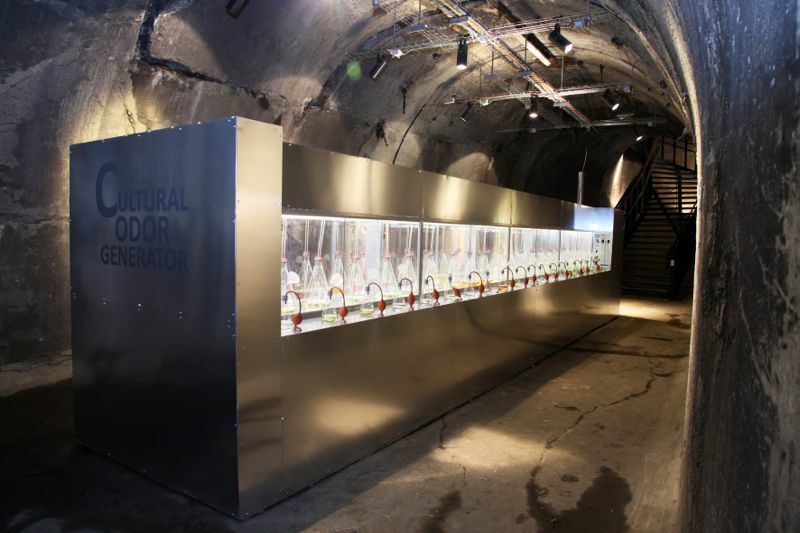 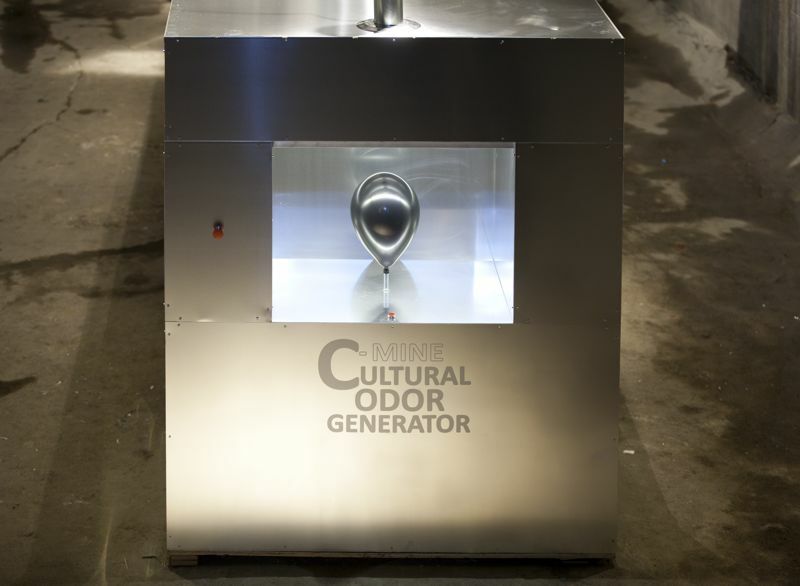 Cultural Odor generator remains to be seen until April 2014 in C-Mine in Genk.